So much wine, so little time. Declare your passion for the fruit of the vine! Perfect for all ‘fans of vin’, whether Bordeaux’s their bag or they have a penchant for Pinot. There IS a world of wines waiting to be discovered out there and this is perfect for the wine aficionado amongst us determined to try them all. 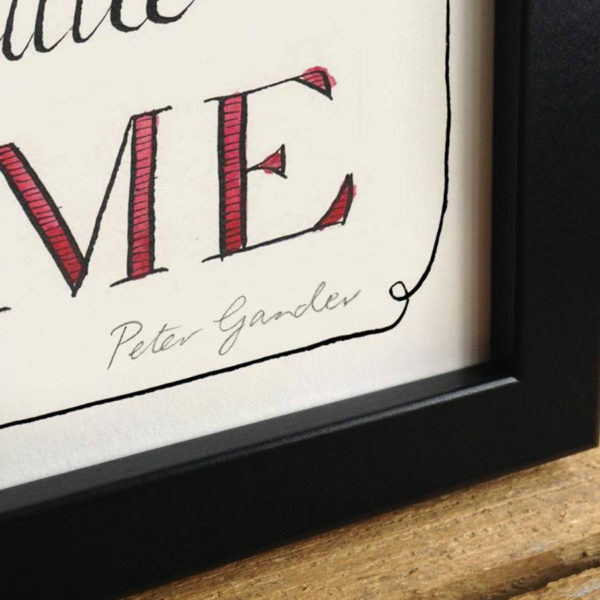 Hand-written in gorgeous typography in ink and watercolour, it makes a lovely gift for the vinophile. 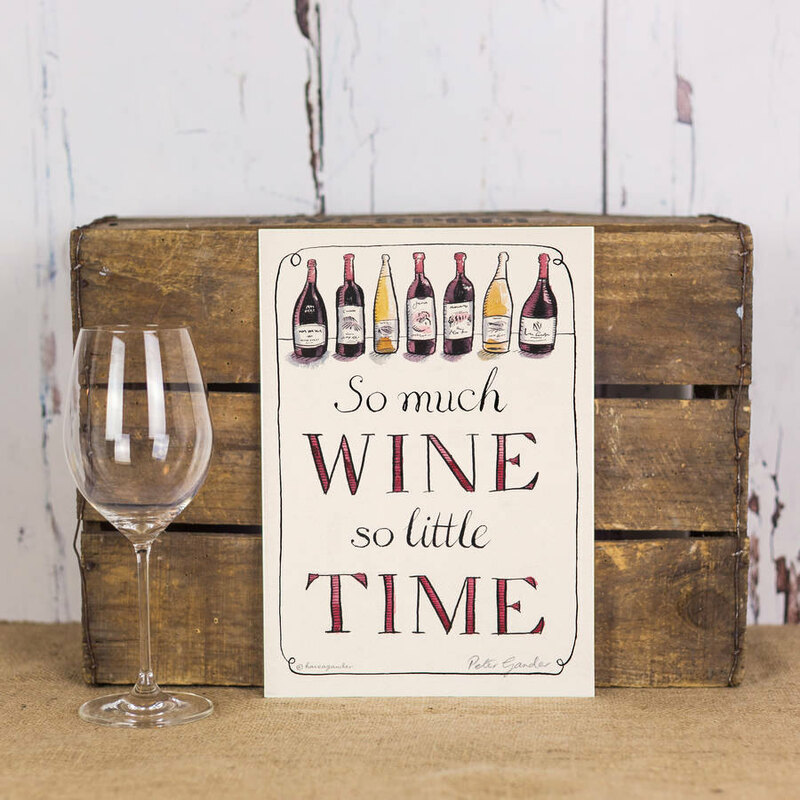 This humorous lifestyle print will look great in your own home or as a gift for a treasured friend that shares the same passion for ‘the latest discovery’ with.